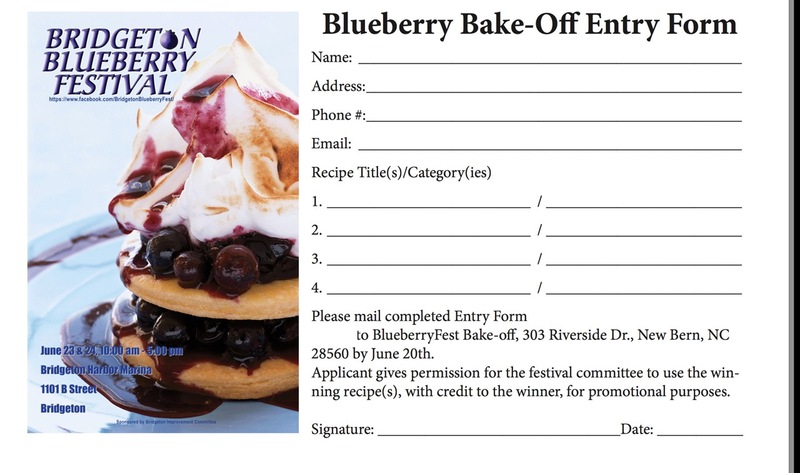 What could be better than a blueberry baking competition? It was stellar last year with winners Nancy Hawley with her Blueberry Lime Salsa, Dawn Heller and her Blueberry Apple Pie, and Marie Tingle’s Blueberry Pie. All were selected by our local personalities of Jessica Winters and Matt Trent from WITN TV12, Sheriff Jerry Monette, and Craven County Commissioner Tom Mark. This year's competition promises to be bigger and yummier so save your place at the table. Entering the Bake Off is free. Click the buttons to the right to download full rules and an application.